In a recent study in the journal "Cladistics", Dr Evangelos Vlachos from the Paleontological Museum of Trelew, Argentina, and Dr Márton Rabi from the Martin Luther University Halle-Wittenberg (MLU), funded by the German VolkswagenStiftung, assembled the most comprehensive family tree of extinct and extant tortoises so far. 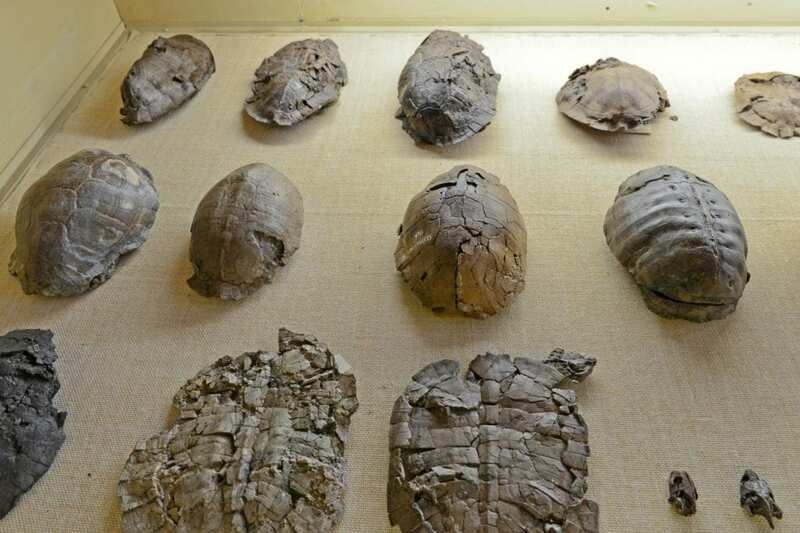 The researchers analysed genetic data from living species together with osteological data from fossil and living tortoises. "The fossils highlight a great number of extinct mainland giant species and suggest that the evolution of giant size was not linked to islands," says Dr Evangelos Vlachos. "Giant tortoises may have been better island colonizers because they can tolerate water and food shortage during an oceanic dispersal for a longer period than smaller species. Giant tortoises have been reported to survive 740 km of floating in the ocean," says Dr Márton Rabi. "We expect that warmer climate and predator pressure plays a role in the evolution of giant size but the picture is complex and our sampling of the fossil record is still limited." – Vlachos adds. "Tortoises have been around for more than 55 million years and we are now able to better understand the evolution of this successful group. Today, however, out of the approximately 43 living species 17 are considered endangered and many more are vulnerable largely due to human-induced habitat loss; this is a disappointing fact." – Rabi points out. This study was made available online as an accepted manuscript in November 2017 ahead of final publication in print in August 2018.